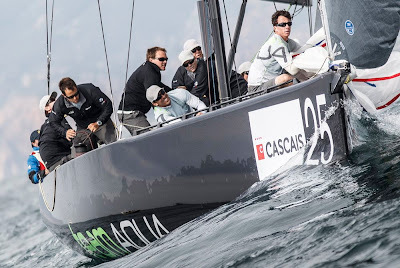 In contrast to yesterday’s foam up, the penultimate day of racing at the Cascais RC44 Cup was spent waiting for wind. The fleet were held ashore until 13:00 BST in the hope the sea breeze would kick in before motoring three miles west of Cascais where the sea-breeze is more prevalent. Racing finally got underway at 15:30 in a light seven knots of breeze. Regatta leader Katusha (RUS) dominated the first race of the day getting the gun ahead of Peninsula Petroleum and Team Aqua. Race two started with a general recall, Race Officer Peter Reggio was quick to hoist the black flag with new boys Aegir (GBR) and RUS 7 being called over and disqualified from the race. Katusha and Peninsula Petroleum headed right off the start line again, but this time it was Team Aqua that popped out of the middle of the pack to lead at the windward mark. Peninsula Petroleum was next to round. As much as the team from Gibraltar pushed, but they couldn’t catch Team Aqua who sailed the perfect race, their second race-win of the event. 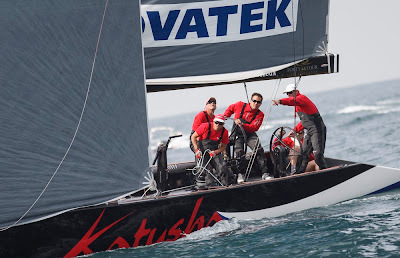 Steve Howe and Russell Coutts on Katusha followed their race win with a fourth place giving them a 13 point cushion going into the final day of racing. Team Aqua remains in second overall, reducing the margin by one-point and are clearly not giving up on the event win just yet. “Katusha have got a pretty healthy lead over us at the moment but everything is possible and we will defiantly try to catch them tomorrow.” Chris Bake, owner/driver, Team Aqua. Peninsula Petroleum put in another incredibly consistent set of results after their two wins yesterday this time in very different conditions, they move-up into third overall on equal points with Igor Lah/Michele Ivaldi and the Slovenian CEEREF team. “I’m very proud of the guys, we’ve sailed unbelievably again today. To come out today and back up yesterday’s good day was important. 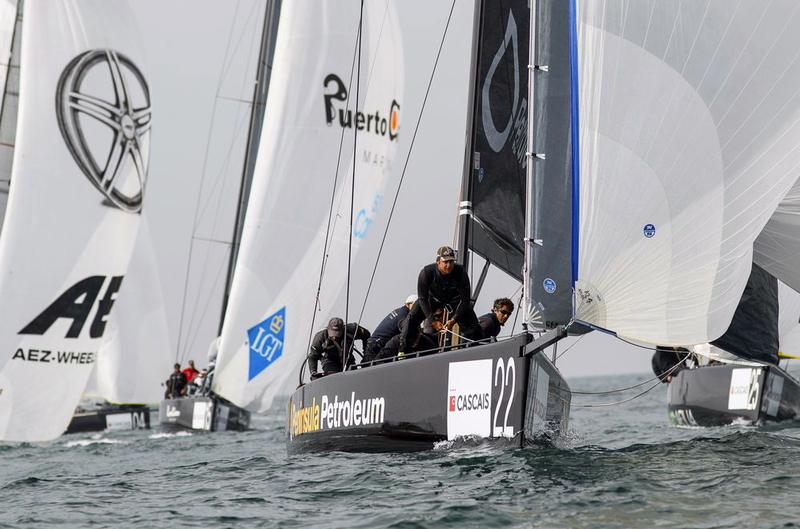 I’m very happy with boat speed and tactics so hopefully we can keep it going for one more day,” Peninsula Petroleum owner John Bassadone (GBR). The class have the great honour tonight to have their gala dinner at the Presidential Palace in Cascais, the first time a private event has been given permission to use the Palace. 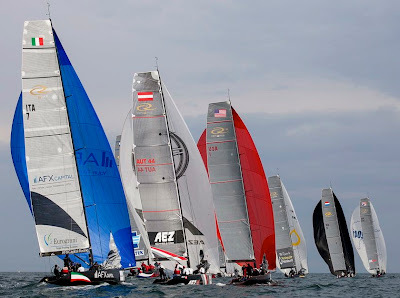 Racing at the Cascais RC44 Cup 2012 concludes on 1st April. The action kicks off at 12.00 (BST) with no warning signal allowed after 1500 on the final day. 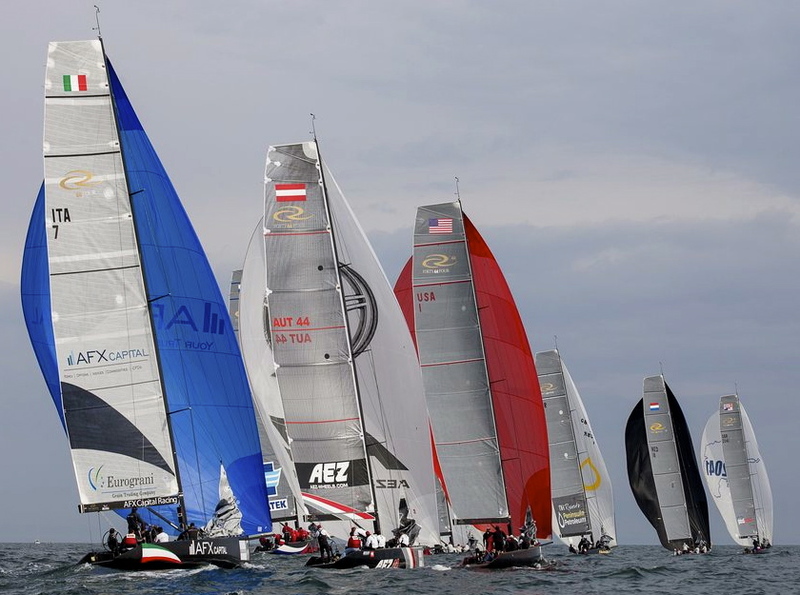 Follow the racing and see who will win the second event of the RC44 Championship Tour on the live blog at www.rc44.com.